Palmer, A[lbert] M[arshall] (1838?-1905) American theatrical manager born in North Stonington, CT. 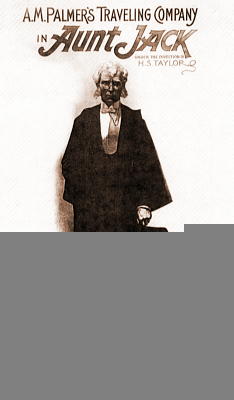 He graduated from New York University Law School, but never practiced law. Instead he became active in politics, where he met Sheridan Shook, Collector of Revenue for New York, and became Shook’s right-hand man. He worked as a librarian and an accountant, but had no background in the theatre. He first entered the theatrical business, as co-manager and head bookkeeper of the Union Square Theatre, which Shook had opened as a Variety house in 1871. When a policy of vaudeville failed, Shook appointed Palmer manager in 1872. He quickly established a reputation as one of the leading managers of his time, due to his keen business sense and cultivated theatrical taste. Palmer assembled a first-rate acting company and turned the theatre into a legitimate playhouse that rivaled Wallack’s as well as Daly’s. During his 10 years at the Union Square Theatre, he improved the quality of the acting and production standards, and also fostered the production of contemporary drama, particularly American plays. Among his successes were The Two Orphans (1874), A Celebrated Case (1878), The Lights o’ London (1881), and A Parisian Romance (1883). In 1883, following a dispute with Shook he left the Union Square Theatre, and a year later took over the Madison Square Theatre. During his management from 1884-91, he continued to produce new works by American authors and to employ untested actors. In 1888, he secured control of Wallack’s Theatre, renaming it Palmer’s, and in 1891 he moved his famous Madison Square Stock Company into this playhouse. His successes during this period were: Clyde Fitch’s Beau Brummell (1890), Augustus Thomas’s Alabama (1891), Oscar Wilde’s Lady Winderemere’s Fan (1893), and Du Maurier’s Trilby (1895). 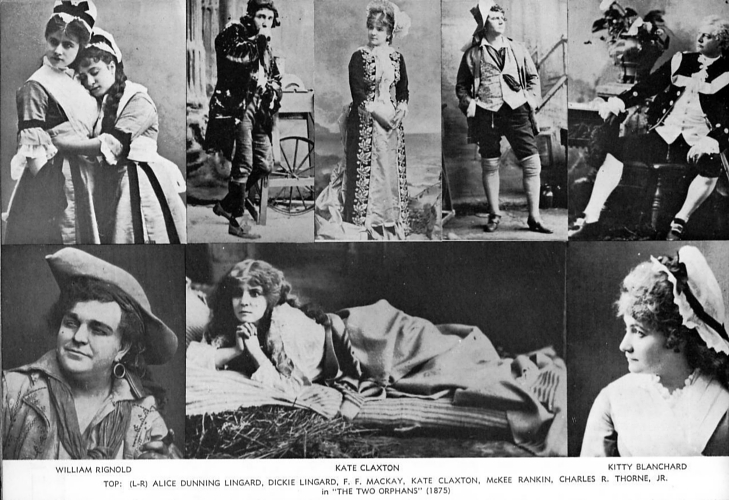 Unlike Daly and Frohman, Palmer was not a ‘star maker’, but he did promote the career of numerous actors, including Maurice Barrymore, John Drew, Richard Mansfield, William H. Crane, Clara Morris and James O’Neill. Just before the turn of the century both his health and his theatrical judgment began to fail. His final years were spent first as Mansfield’s manager and then as manager of the Union Square Theatre. Palmer was among the first American managers to pay foreign authors royalties for the performance of their plays, and he was a major force in the founding in 1882 of the Actor’s Fund of America, where he served as president from 1885-1897. Joseph Haworth’s first appearance under A. M. Palmer’s management involved an extraordinary display of versatility. 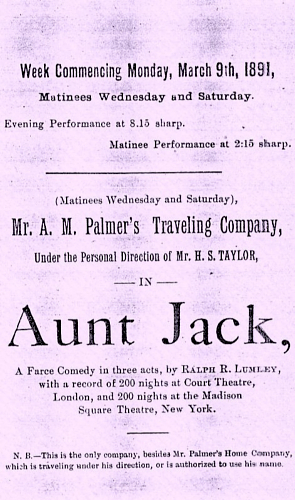 Palmer had enjoyed a tremendous success at the Madison Square Theatre with a double bill of Augustus Thomas’ drama A Man of the World and Ralph R. Lumley’s farce Aunt Jack. 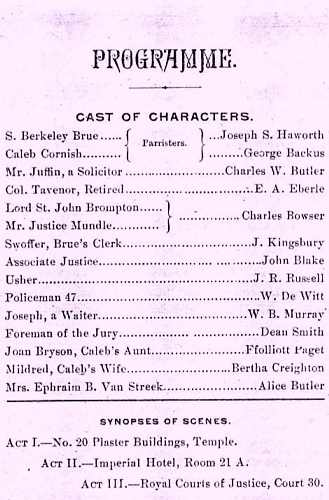 The program ran for 200 consecutive performances, a very long run in 1890 New York theatre. A Man of the World was a signal success for leading man Maurice Barrymore, but the starring role in Aunt Jack was a comedic elderly barrister, considered beyond Barrymore’s range. However, New York audiences had seen Joseph Haworth succeed on consecutive nights as both Romeo and Malvolio opposite Julia Marlowe. Thus, A. M. Palmer bestowed both roles on Haworth for his touring edition of the double bill. After extensive success nationally, Palmer presented Haworth in this theatrical hat trick at the vast Grand Opera House in Manhattan, opening October 20, 1890. 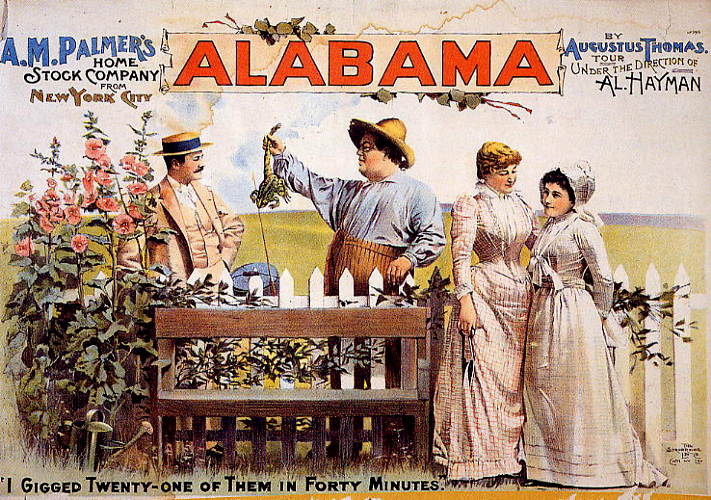 Following this successful engagement, Haworth resumed touring the plays through Spring of 1891. 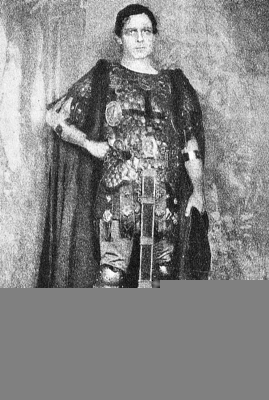 In November of 1902, Palmer was managing the Herald Square Theatre, where an elaborate revival of Julius Caesar was about to open with Richard Mansfield as Brutus. 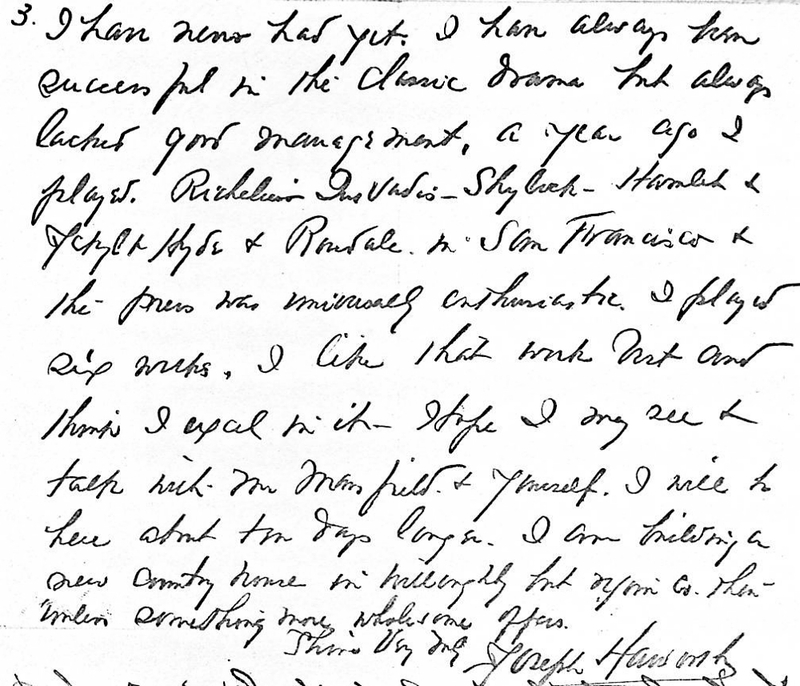 Haworth wrote Palmer from Cleveland that he was traveling to New York and looking forward to seeing Mansfield play the part. Haworth also expressed regret that his manager hadn’t presented him for the role of Cassius originally, but explained that he had expected to be busy with the play Coriathon and thus unavailable. 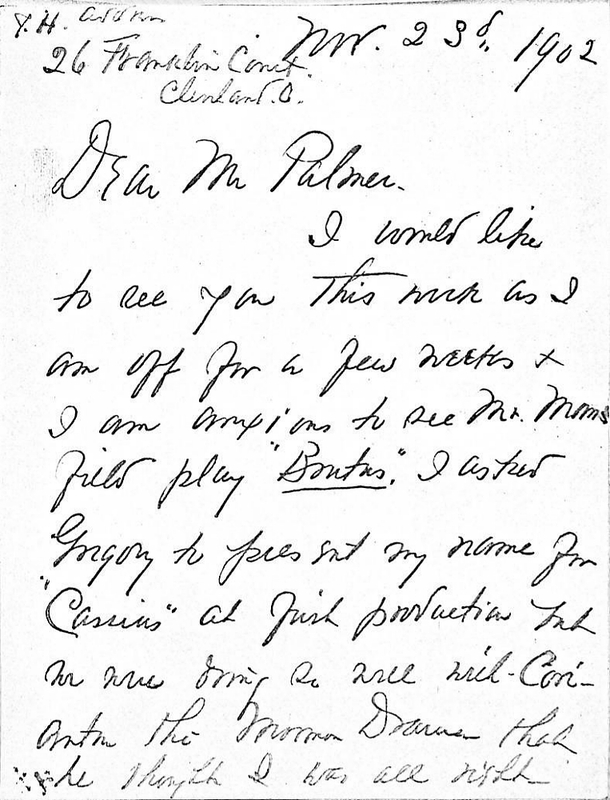 Incredibly, this letter mailed from Cleveland on November 23, 1902 resulted in Mansfield’s firing the actor then playing Cassius, and installing Haworth in the part, just in time for the production’s December 1, 1902 Broadway opening.